Innovalue show Orange candle 3 days ago, sign of a trend change in ART Supertrend system. The trend started at 0.156 and turn orange at 0.66 in April(323% up), Follow by a continuation 0.75 and exit by 0.83(10.6% up). In trend following, you gotta learn to ride the trend, and get out when trend ends. 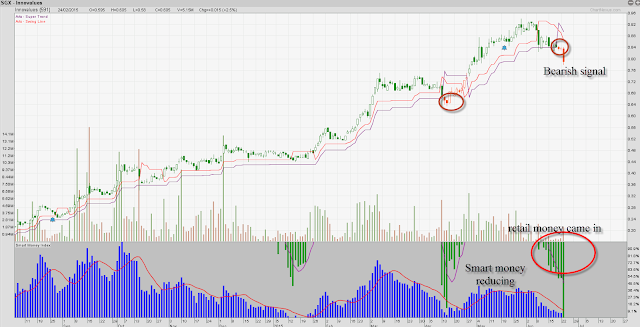 Dont fall in love with the stocks, especially when Art supertrend show orange candles.